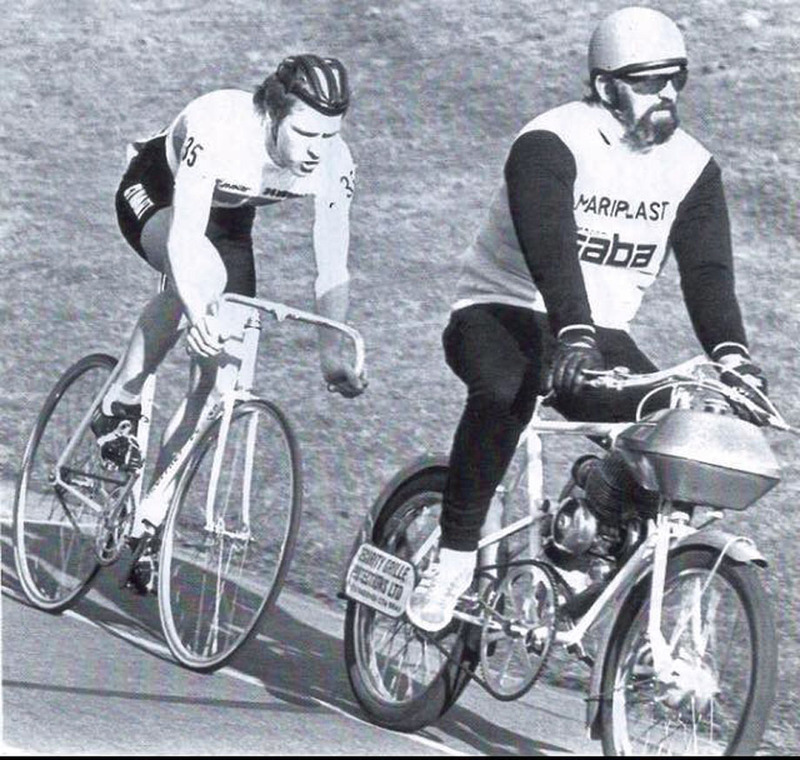 PezCycling News - What's Cool In Road Cycling : Retro PEZ Talk: Star Of The 70’s Rik Evans Part 2! Retro PEZ Talk: Star Of The 70’s Rik Evans Part 2! Retro Interview: Rik Evans continues telling his story to Ed Hood, from giving away a Worlds title to Commonwealth Gold medal, top club 34 Nomads and his slide out of cycling and into depression. Evans has now settled in Australia and cycling has come back into his life. Part 1 covered Rik Evans' early life up to that crash by the German pursuit team, we now move on to how it all came to an end and bring you up to the present. 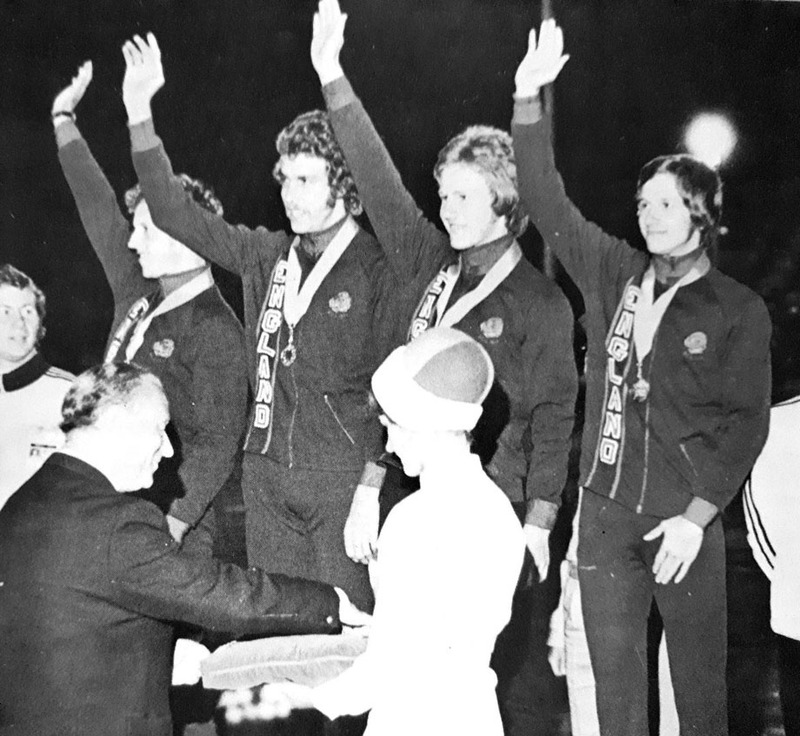 PEZ: Winning the Commonwealth Games team pursuit in 1974 was a nice result. Rik Evans: Yes, Gold was a nice result. Beating the Australians by over nine seconds in the final was also a nice result. Being transported into the middle of a New Zealand summer from a particularly grim north European winter was pretty good as well. We’d all had to put ourselves through a lot of hard work that winter to be in shape for those Games, and in often quite testing conditions. So we really deserved that Gold. PEZ: The ’75 Worlds were a step backwards though? To be honest, 1975 in general was a step backwards, perhaps truer to describe it as a slippery slide backwards, a tendency that had begun the year before. 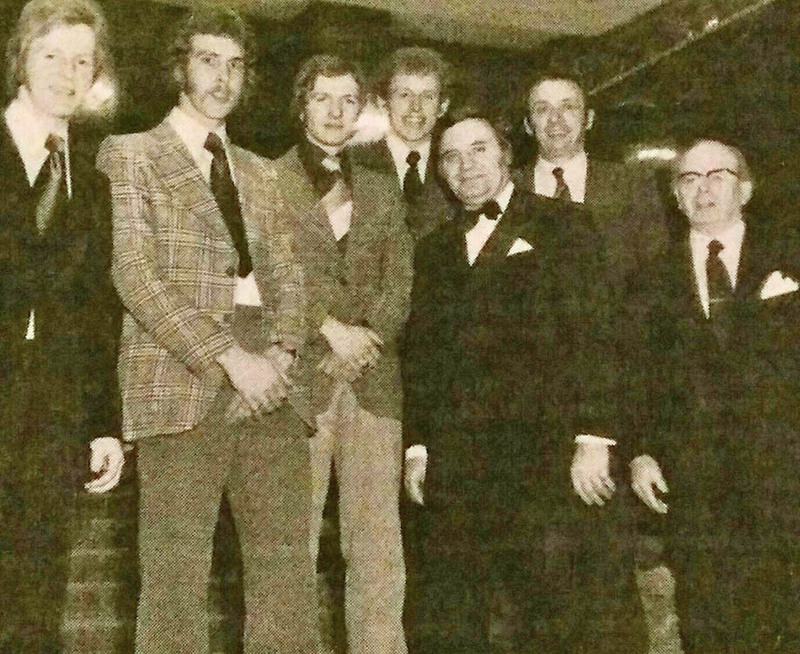 One problem was that in the team pursuit, approaching those ’75 Worlds, we’d been coached by Harry Hampson – a leading mentor in the south of England – and he’d been working hard at building the team in his own time and at his own expense. When it came to making the trip to the Worlds, however, he was discarded; regarded as a ‘maverick,’ and unreasonably disliked and perceived as a threat by the ‘powers that be’. Those that took over really weren’t up to the job, and consequently morale and performance suffered. My heart wasn’t in it at all either, which would’ve been evident to those around me. My prospects from there on were not promising. PEZ: Why no ’76 Olympics for you? Well, that slippery slope had got steeper, more slippery – very bumpy as well. PEZ: What sort of support did you get from the British Cycling Federation in that era? As far as I know, they gave whatever they could afford, which was next to nothing. There was some help with travel costs and so on, but on international trips, those hosting the events would normally cover expenses. 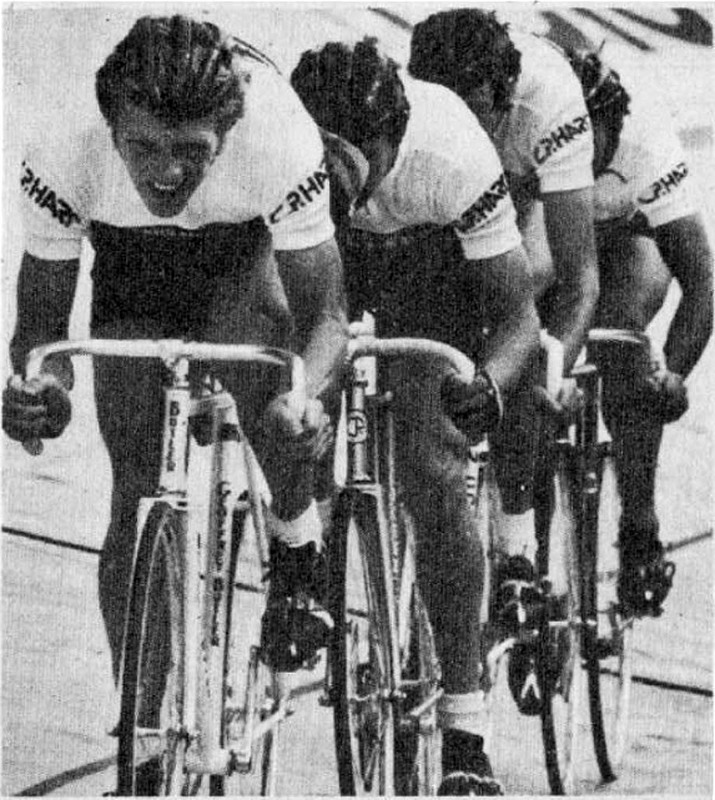 I recall that we were each given a pair of tyres for the ’73 Worlds. On the whole we had to be self-funding; it actually cost us a lot of money to do our sport at that level. I was unable to keep a regular job, because I was frequently going away somewhere or other, so I did casual work, mainly as a labourer on building sites. That being the culture, any results achieved at world level by British riders mainly came down to the personal initiative and expense of the individuals involved. For us, as well as being up against the generously supported Western European countries, we also had to contend with the state sponsored Eastern bloc nations. As I understand it, their athletes were full-time, riding as pros, in effect. They didn’t seem to laugh as much as we did though. PEZ: Your British club team the ’34 Nomads was a very strong entity in the 70s – you rode for most of your career? I was actually with two clubs before the Nomads. I began with the Bromley RC for a couple of years, then moved to the newly formed Lewisham Racing Club for 1968-9. 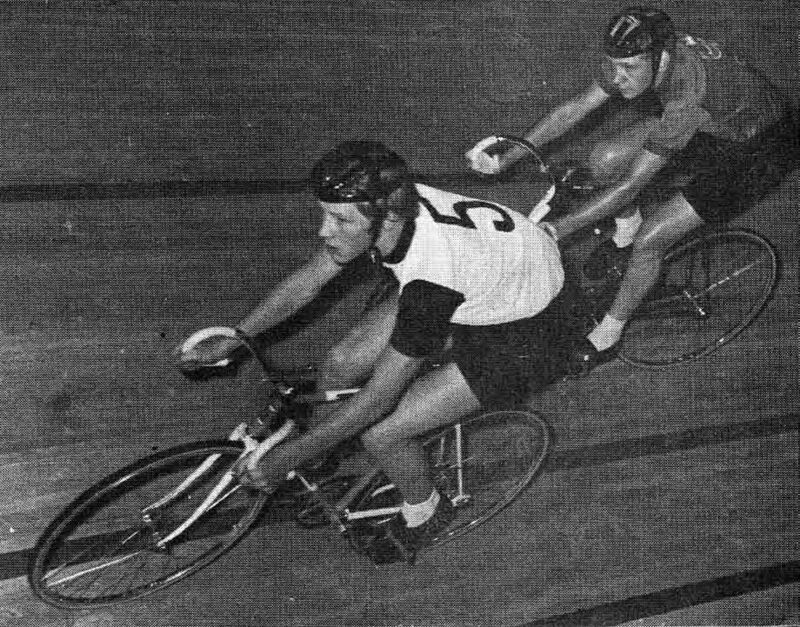 Ron Keeble was responsible for starting off that successful ‘modern’ era of the club when he recruited Dave Carter, Alan Upcraft and myself to form a team pursuit squad to win the nationals. The Nomads had already been a strong club in the 50s and 60s, but we we’d come along to join Ron, and we all set about winning left right and centre, including national titles, and this attracted more new talent. The list of riders coming to the club is impressive (aside from those I’ve mentioned): Colin Christie, Pete Hamilton, Dave Rowe, Ray Palin, Dave Le Grys, Pete Shaw then another new wave with Sean Yates, Paul Fennell, Glen Mitchell, Tony James, Steve Sefton, Tim Stevens, plus a bunch of national schoolboy champions along the way. PEZ: Tell us about your relationship – and the bikes – with Geoffrey Butler Cycles. Geoffrey Butler were a great support, and with Charlie Roberts as their frame builder at the time, they were great bikes as well – I’m sure they still are. Back then the business was essentially the wonderful John Pratt (the owner), and the very enthusiastic and supportive Bert Sullivan. I think that John had to turn a blind eye sometimes to Bert’s generosity towards favoured riders. There were times, after a crash or a string of punctures, when I couldn’t have continued racing without them helping me out. I was always broke and my parents had no spare money, so they were my saviours quite often. Great people. PEZ: What was your favourite discipline? I really liked scratch races on the track: the 10 mile, 20km and suchlike; similarly those Dutch criteriums. I enjoyed the continuous flow and high speed of those events, and the buzz of positioning for the final sprint. I was good at them as well. At 17 I was third in the senior (elite) National 20 km Championship, then a close second in the following two years. Some thought I’d won in ’72; it was that close. The Skol 6 ... this was me at 16 on my way to winning the overall classification in the event for young amateurs (under 21, think). o yes, I won a 6-Day race! PEZ: When and why did you quit? In effect, I quit several times, and kept coming back. It was like a protracted and very messy on-off, on-off divorce that began playing out during the first half of 1974. And in June of that year, I announced my ‘retirement’ (my first one, anyway) only days after my twentieth birthday. And I quit for many reasons – a perfect storm of reasons, really, although at the time I didn’t really know exactly what they were. Cracks had begun to show during that winter of ’73, when I was based in Holland with Mick Bennett (Ian Hallam and Willi Moore joined us for part of the time). We were there in order to ride on the indoor tracks, in Rotterdam, Ghent and Antwerp; there weren’t any in the UK in those days. This was all in preparation for the Commonwealth Games in New Zealand at the beginning of ’74. All in all this wasn’t a happy time for me. I’d been going non-stop for two years and wanted a break – and to have a bit of fun. There was no let-up though. We returned home from Holland for Christmas and did our best to maintain form by just going out on the road in the middle of the English winter before heading off to New Zealand for the Games in January ‘74. And there were further signs of things going wrong while we were there. Great result, yes, but I was beginning to feel burdened by it all; I had been for a while, to be honest. Mick and I were signed up to return to Holland in February to ride for Hebro-Flandria; the kind of opportunity that most young riders could only dream of. I, however, can remember the effort of feigning enthusiasm whenever the subject came up in conversation with the guys. Upon reflection it was evident that I was beginning to suffer with depression. So, in that condition, and feeling quite jaded, I returned to Holland after the Games to embark on a pretty heavy schedule at the start of a new European road season. I began going through the motions of training, which included training races at weekends, but I was actually slowing down. I should’ve been flying; I had, after all, only just won a Commonwealth Games gold medal, but I’d felt a leaden heaviness and was totally lacklustre, physically and in spirit. After a couple of weeks I stopped altogether. I couldn’t bring myself to even get on the bike. Mick continued to go out training every day, while I effectively became housebound. It got worse, and I’d find myself spending hours in a catatonic state, just sitting and staring out of the window, unable to move, at times. My speech was affected as well; words would come out in the wrong order, or not at all. After a couple of weeks, it became clear that I wouldn’t be going to the aforementioned training camp. The team manager’s approach to handling my predicament during this period was one, principally, of anger-laden criticism. It’d got pretty bad, and I had to pack up and go home. Said team manager wouldn’t even drive me to the train station to get to the ferry (I had two bikes and a lot of luggage). His animosity went further in that he’d insisted that I couldn’t leave until I’d compensated the sponsors for the cost of my place at the training camp – a likely story. I had around £56 on me, which was all of the money I possessed, so he took £50, and only then allowed me to leave. In the end it was the soigneur, Ruud Bakker, who got me to the station. Ruud – a really nice guy – went on to become soigneur with the TI Raleigh team. As may possibly be evident, I was having a breakdown, and with the final crashing to earth of arriving home, it got worse. I wasn’t able to do much at all for some weeks, but then eventually started to get back on my bike from time to time, more out of habit and guilt than anything. The guilt was real too. As a young boy I had – for good reason I think – felt that cycling was much more than just a sport. I regarded it as something quite special; almost like a religion to me. As such, to even entertain thoughts of quitting felt like heresy, so I rode when I could, partly just to feel the security of remaining connected to the sport. Over the next few years, I sporadically came and went from the sport with varying degrees of success. It was never going to work again though; I had too much else going on. PEZ: Which ride gives you the most pride when you look back? Maybe the British Junior Road Championship on the Isle of Man in ‘71? I had so much going against me, not least my mind’s incessant, defeatist self-talk that had been gnawing at me for weeks (I had to be virtually dragged to the Isle of Man). Then there was all that climbing, in the presence of some gifted climbers (the main fear stirring that negative inner chatter), and then significant mechanical problems occurring shortly after the start, which couldn’t be resolved during the race. With all of this going on, I had to raise my game to another level in terms of guile and race-reading, and it was this that brought me to be perfectly placed to take the win. It was a nice result also because I became the first person to win both the schoolboy and junior road titles. It was, however, a win that lost me my job. I’d phoned in ‘sick’ in order to be at the Isle of Man (the race was on a Monday! ), and the trouble was that my boss read The Daily Telegraph, which was the only newspaper then to cover cycling properly, and he’d read the race report. He did congratulate me before firing me, though. PEZ: You moved to Australia, why? In 2004 I was awarded funding to carry out a research project at a university in Australia, which is where I met my Australian wife, Nadine. So here I am. PEZ: Do you still ride and follow the sport? Yes, I’m riding again now, after more than 13 years off, due to illness; a tropical virus left me with a debilitating chronic post-viral condition. I’m a social member of a couple of clubs in the Brisbane area, and I am gradually making modest progress. And yes, I follow the sport to some extent: mainly the grand tours and the classics, but not the track so much. Well, as recounted earlier, I’d always felt bad about dropping off before the full 4000 metres in the team pursuit at the Worlds. However, I read quite recently that Tom Simpson (my hero, as I came into the sport) suffered a similar fate at the ’56 Melbourne Olympics when he was 19, the same age as I was at the ‘73 Worlds. So I don’t feel so bad now and have refrained from beating myself up over it. I might have also felt regret over leaving the sport at such a young age, but I don’t – not now anyway. For a long time I certainly did feel unsure about having given it all up, but it seems now that those influences drawing me away from serious cycling were steering me in a direction that I needed to take. The aforementioned research project in Australia came out of that shift of direction, and my experience as a cyclist actually formed the basis of the study. 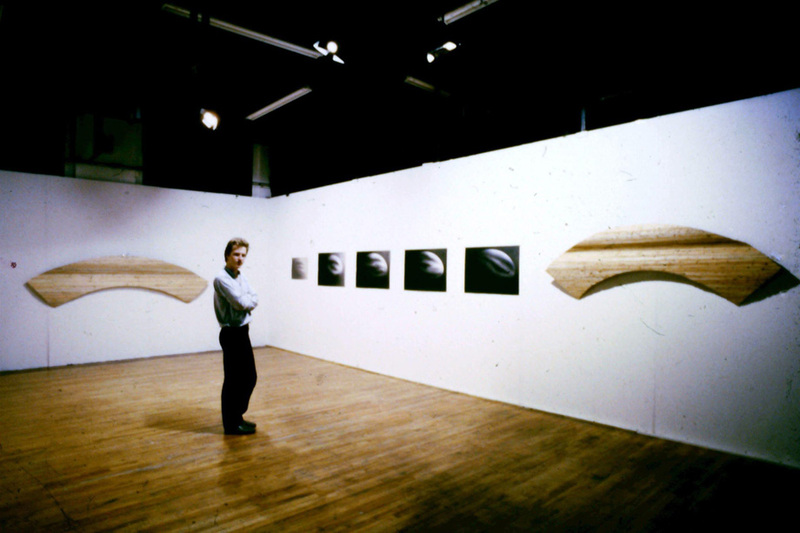 After my racing was over I moved into the field of visual arts, and subsequently into education alongside my studio practice. Through this practice, I’d become aware of a particular mode of thinking at work; something that seemed to be guiding aspects of what I was doing. I’d noticed it because it was something I’d first experienced and employed in cycling; something I term as physical thinking. It’s a practical, sensory-perceptual mode of understanding things, not an intellectual faculty. This was the focus of the study, and it continues – my lifework, I guess, and cycling is still at the core of it. Leaving the sport was a sad and very difficult business, but it was a move that effectively got me to where I needed to be. But importantly, cycling has, over the years, been the continuous thread running throughout. And with being back on the bike again now, it’s once again central to what I’m about. All photos supplied by Rik Evans.